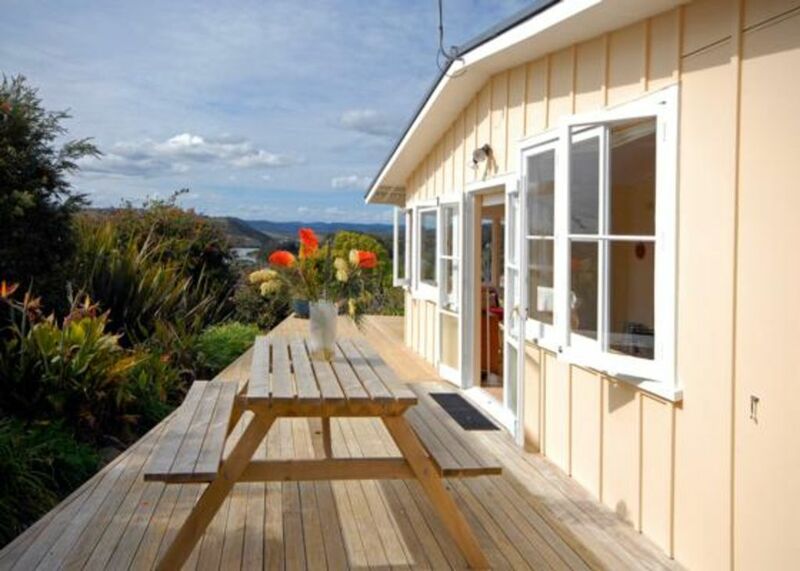 Melody Cottage is a gorgeous cottage on the hills above Mangonui Harbour. It has three bedrooms, sleeps a max of 6 people and has plenty of room to pitch a tent. Sit in the window seat and take in the wonderful views over the Mangonui Harbour. These views are also from two of the bedrooms and the dining room. Very sunny and with that lovely holiday bach feel that is missing from so many holiday homes these days. Everythung you need for your holiday is provided included linen and towels.The walk to Mangonui village is just 10 mins along the waterfront. Prices are for 2 people. Extra guests are charged at $15 per person per night. Great cottage.Very comfortable. Would recommend. A sweet little place, cosy and cute. A sweet little place, cosy and cute. A great garden for the kids. A lovely view. A wonderful place. Super location. Super sunny and 'welcoming'. We felt right at home from the start. Generally a comfortable holiday home to stay in. Generally a comfortable holiday home to stay in. With almost everything one could need. We didn't find the clothes pegs though, but I am sure there are some there somewhere. Peaceful retreat with lovely views to the water, short walk to the harbour + shops, well equiped in good taste. Great garden + plenty of room for the dogs. We will rebook. Nice high location with views of the upper harbour. Nice high location with views of the upper harbour. Very comfortable house, with excellent facilities and information. Very clean and tidy. Even had scales when I decided to bake a cake.